The SLD Hushpac (Decibeater) super silent pump is the quietest diesel driven pump on the market. It is suitable for sewer lining, waste water, municipal and all construction applications. The pump is complete with Auto/Stop/Start Panel. 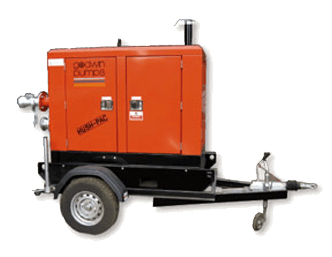 The SLD CD100 4″ Hushpac (Decibeater) super silent pump is the quietest diesel driven pump on the market. It is suitable for sewer lining, waste water, municipal and all construction applications. The pump is complete with Auto/Stop/Start Panel.